Despite improvement in some sections of the economy, the number of people who call St Vincent de Paul for help remains very high. The charity expects to receive an estimated 125,000 calls again this year. 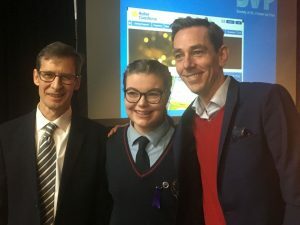 “Because austerity and poverty no longer figure in news headlines it is easy to forget that there are still thousands of people who continue to live in hardship and with limited income,” said SVP National President Kieran Stafford at the launch of the Society’s Annual Appeal by RTE’s Ryan Tubridy on 15th November 2017. “As members of St Vincent de Paul we strive to understand people’s experience of poverty, whatever the cause from the viewpoint of what we can do to help rather than ponder on how they came to be in a position where they seek help from strangers,” he added. He gave the example of a mother who received her electricity and TV licence bill in one day’s post and the tax for her car and mortgage was also due. Her young son also started walking and she felt ashamed that all she could think of was how she couldn’t afford to buy him shoes. The SVP states that this mother is not alone, and she, like the many people who seek help, see SVP as their last resort. “Irish society cannot and must not accept that living in, or on the verge of, poverty is normal, whether that manifests itself in going without food, resorting to moneylenders, struggling to pay school and other education costs, rough sleeping, living in emergency accommodation or living in rented accommodation which is cold, damp, dilapidated or overcrowded,” said Kieran Stafford. 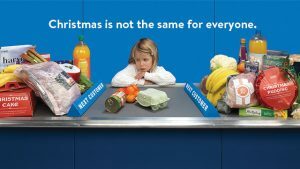 In the run-up to Christmas the SVP Annual Appeal message this year is “Christmas is not the same for everyone.” The Society is seeking donations to help families and individuals in need in communities across Ireland. It is also highlighting that donations help people not just over Christmas but also throughout the year at times when families find themselves in financial difficulties. Sometimes a donation to the SVP at this time of the year can be enough to ensure that individuals and families don’t slip into long-term poverty, according to Kieran Stafford. He added that while the immediate concern is to help families avoid a difficult Christmas, the longer term focus is on helping families to break the cycle of poverty. The SVP had an income of €79.3 million according to its Annual Report for the year ending 31 December 2016. Income from donations was €16.3 million. Funding from the government came to €12.2 Million, from church collections was €10.2 million, from legacies €5.1million, and from charity shops €26.0 million. The SVP spends more than €33 million in direct payments each year. These funds helped people to pay for food, fuel, clothes, school books and other education costs and to pay outstanding bills and even rent. Up to €4 million alone goes to families to cover the cost of education.